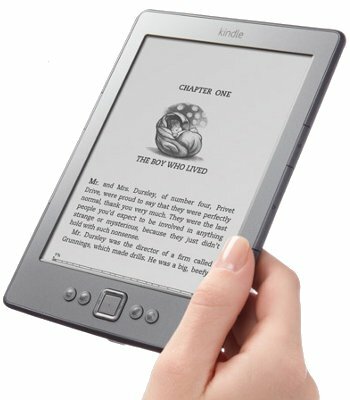 Amazon has announced immediate availability of a software update for the popular $79 Kindle e-reader, which brings several improvements as well as answering long-standing concerns by adding parental controls and password protection. The free update to version 4.1.0 includes an "improved reading font that is higher contrast and crisper so that you can enjoy a paper-like reading experience," and is only available for the Kindle, and not the popular Keyboard or Touch models. The highlight of the update are the parental controls, however, with Amazon finally providing controls that can restrict access to the device's browser, archived items and the bookstore, preventing minors from accessing inappropriate material in the store. Improvements have also been made to panning and zooming of tables and images on supported titles, while Amazon also added support for children's books with "Kindle Text Pop-Up" and comic books with Kindle Panel View, which allows you to read a comic book panel by panel. New books supporting these features will be added to the online bookstore over the next few weeks. Also, all dictionaries are now grouped into a collection in Home and Archived Items and categorized under “Dictionaries” for greater organization. The update will be delivered via WiFi over the course of the next few weeks, but those that wish to upgrade immediately can download it directly from Amazon. The download page also details the steps required to update your Kindle device, as well as troubleshooting steps should any errors occur whilst updating.